The World Piano Competition, a fixture in Cincinnati for over half a century, is undergoing a top-to-bottom restructuring designed to perpetuate its standing among international competitions, expand its reach and enhance its education and entertainment aspects. It has even undergone a name change. It will now be known as Cincinnati’s World Piano Competition (CWPC) to draw greater attention to the city. The organization’s signature event, the annual competition, divided into Young Artists (ages 5-17) and Artists Divisions (18-32), will add a category for amateurs. This will be open to non-professionals and is designed to uncover hidden talent. The three divisions will rotate every three years. The next CWPC in 2015 will encompass the Artists Division. The Young Artists competition will take place in 2016 and the Amateur competition in 2017. The Artists Division will be structured into head-to-head brackets, similar to a tennis tournament. Each pianist will present two 15-minute performances before any are eliminated. Those who advance will perform 30 minutes in the next round. Six to eight competitors will advance to the semifinal round, where each will perform for 40 minutes. The final round will comprise three finalists playing complete piano concertos accompanied by the Cincinnati Symphony Orchestra. The CWPC will repeat its contemporary mandate, introduced in 2014, whereby each pianist must perform a short work by a contemporary artist. “This requirement is exclusive to the CWPC,” said Ernster. The organization’s Bach/Beethoven/Brahms education series, geared for school age audiences, has been renamed “Hammers, Strings and Keys” to add flexibility in terms of content. The CWPC dinner concerts, an audience-building series held between competitions, also will continue, as will its recitals for senior citizens. The CWPC began its revitalization process two years ago when it entered into a collaboration with the Cincinnati Symphony Orchestra and the University of Cincinnati College-Conservatory of Music. The organization was founded in 1956 by Gloria Ackerman. 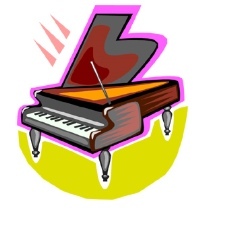 For further information, see http://www.musicincincinnati.com/site/news_2013/A_New_Day_for_Cincinnati_s_World_Piano_Competition.html.